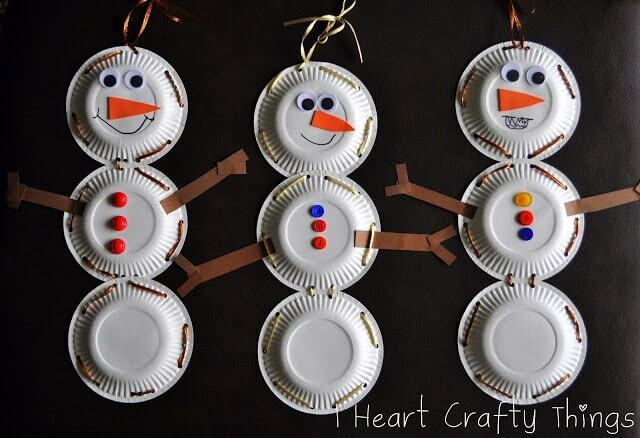 What better way to kick off Winter than crafting a snowman, right?! 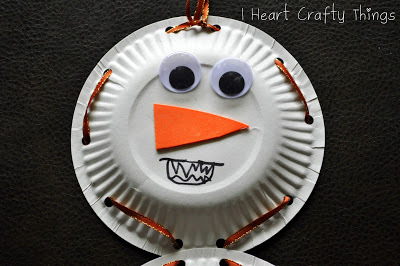 My boys loved our Pumpkin Lacing Activity so I added lacing into this craft as well. 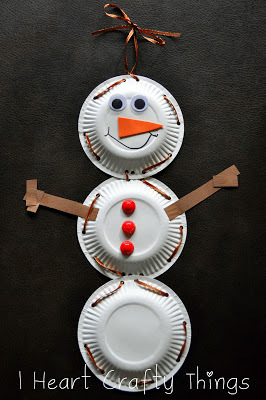 I have to admit, our snowmen turned out super cute, but the lacing proved to be a bit challenging since they had to control three paper plates. 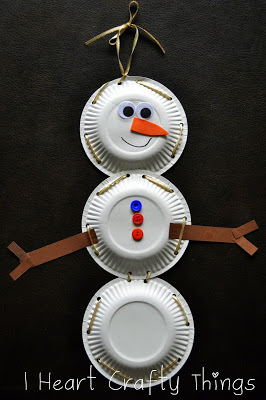 If I were to do this project over, I would have my kids simply lace three separate plates and then staple them each together. This would be a great alternative for preschool students as well. 1. 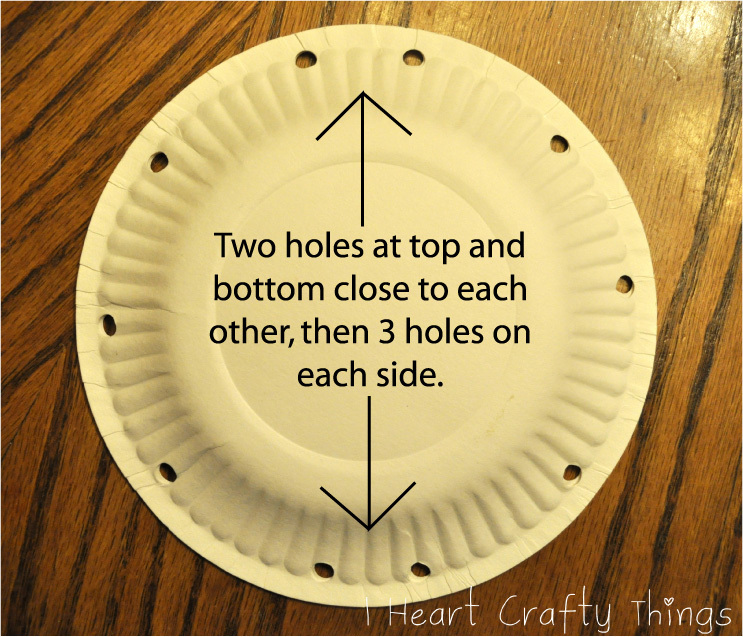 Start by punching the holes in your 3 small paper plates for lacing. 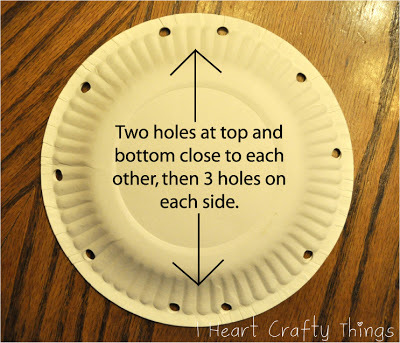 Below is a picture of how I punched the holes in my paper plates so we could lace them all together. I put all three paper plates together when punching them so they would line up perfectly. 2. 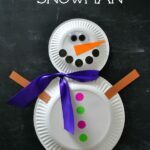 Start lacing one of your paper plates starting at the top and lacing down to the bottom (only lacing half of the plate). When you get to the bottom hole, start lacing on your second plate in the same manner and continue onto your third plate. When you get to the bottom of the third plate just continue lacing all the way around the plate, and then back up to the second plate and ending at the top of your first plate. It sounds a bit confusing, but hopefully you understand by looking at the pictures. 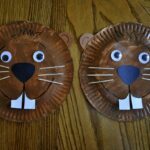 As I mentioned in the beginning of this post, to make this craft easier for kids you could lace each individual plate and then staple them together. 3. 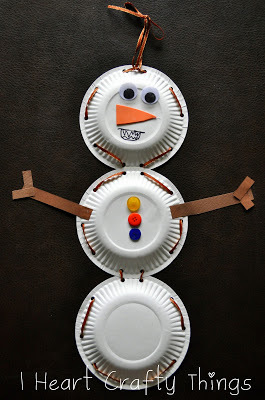 After lacing the snowman together, glue on your large googly eyes, a carrot nose cut from an orange foam sheet or orange paper, buttons, and brown paper twig arms. 4. Finish your snowman by drawing on a smile with a black marker. Since my youngest is a toddler, I guided her in lacing her plates together and I put dots of glue on the plates for her to add all of the pieces herself. I also helped her hold the marker to guide her in drawing the smile on her snowman. This is only her second project but if you have a toddler who regularly crafts, I’m sure all of this would be simple for them. I love seeing the different personalities of my kids’ snowmen. My 5 year old wasn’t happy with how his original smile turned out on his snowman so he decided to make his the “abominable snowman”. Haha! 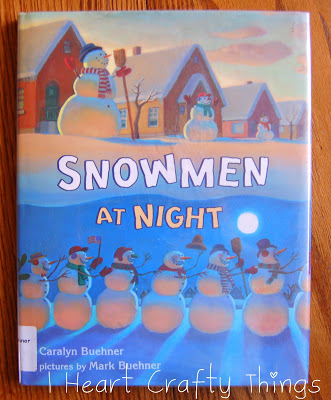 by Caralyn Buehner and illustrated by Mark Buehner. Definitely must-reads for this time of the year! 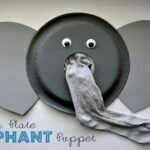 This is so adorable…I can't wait to give it a try with my grandkids. This looks absolutely adorable! How long would you say to cut the string for lacing if you use the small paper plates? Probably about the diameter of four paper plates.